Hey guys, I hope you are all doing really really fine and you are not totally stressed out and are really looking forward to a few days of Christmas celebrations with the loveliest people you know. As for me, I have still a few Christmas errands to do but at least I already know what to buy. Honestly, I use the Christmas errands as a pretext as there is a really lovely shopping mall that has just openend up that I definitely need to check out. About the Christmas errands...that is the story I tell my boyfriend. As a shopaholic you may know what I am talking about. 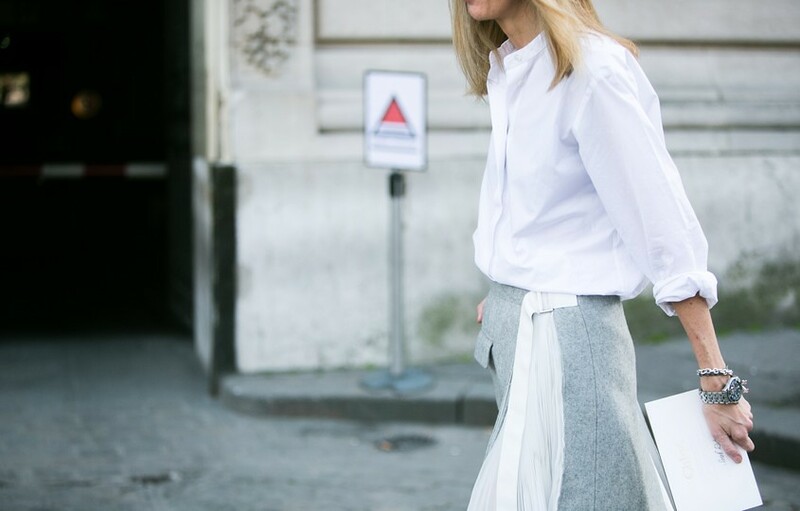 As the year is about to come to an end I think it is absolute time to make a collection of the most fascinating and most inspiring #StreetStyle outfits of 2015 - sure without claim of completeness...So let's make a journey through 2015 together and let's enjoy some of the most amazing and crazy #StreetStyles. 3. Amazing faces...Isn't she beautiful? 5. The crazy fur outfit in combination with the interior design dress. 6. Rolled jeans - a style that we do not want to miss in 2016. 7. Felt fabric in amazing combinations - she has really style. 8. 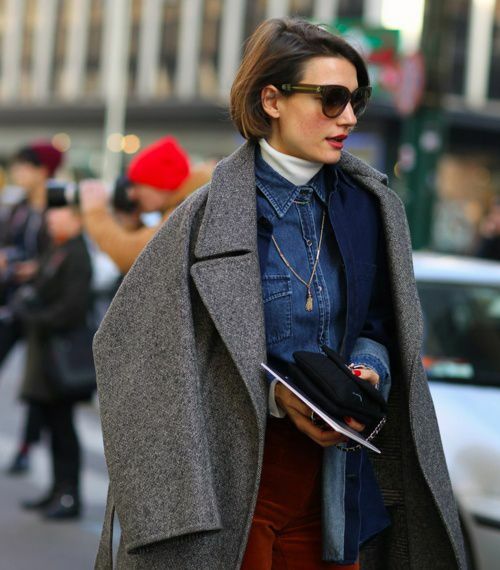 Again the oversize coat - I do not want to miss it in 2016. 9. Again great faces, interesting looks, leather and the red lip-stick. 13. White shirtwaist , leather jacket and frays never go out of style. 14. 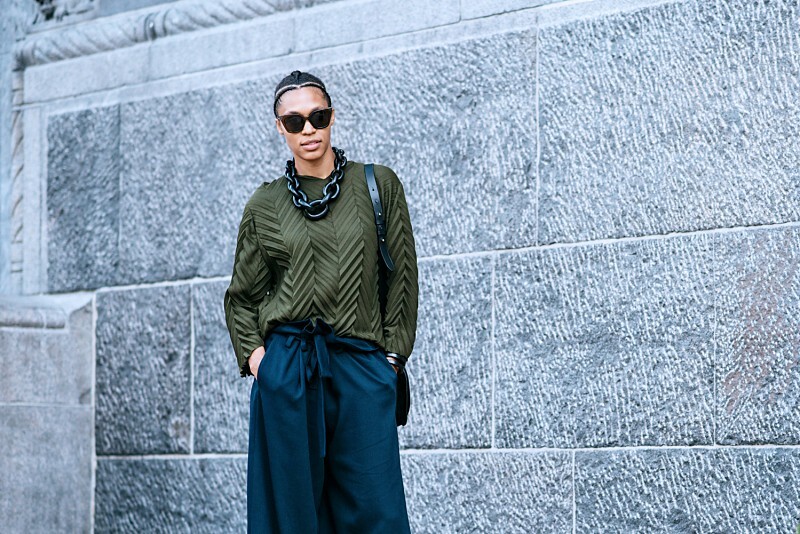 Wide pants and bottle green silk shirt...I love this outfit. 16. The minimal outfit and the #Chanel stripes. 18. Sometimes it doesn't take a lot to just look beautiful. 22. The creme white turtleneck with a denim shirt and a tweed coat - classic and elegant. 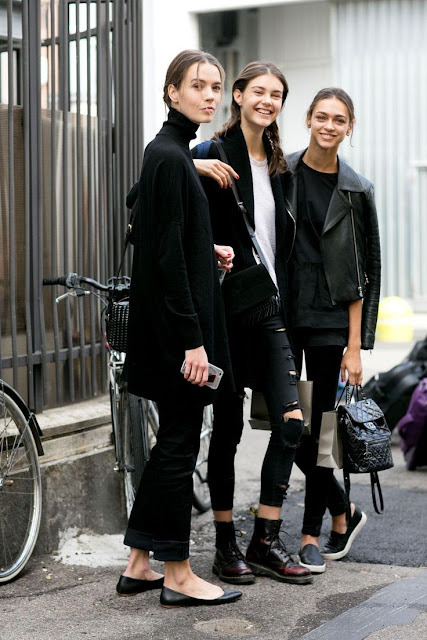 Guys, I hoped you liked this collection of my most preferred and loved #StreetStyles 2015. Which one is your favourite? I hope you are all going to have some nice moments with your family and friends. Tomorrow I am going to leave for 2 days to visit my family. Unluckily it is in the country and the connection to the internet is quite bad...How am I gonna survive this...? I am going to be back soon guys! Enjoy some fashionable Christmas moments and do not forget to return to Glimpses at Fashion.